Follow the adventures of a shape-shifting atomic sub battling sea creatures, arctic monsters, sonic attacks, anti-matter generators, global terrorism, and more! 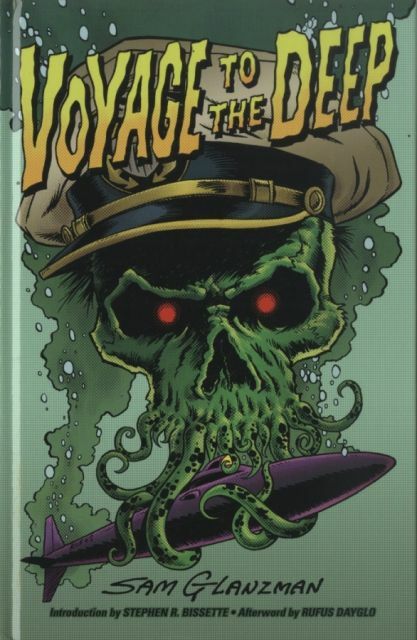 Four tales of the atomic submarine Proteus and her crew in one graphic novel! First, the submarine Proteus has just finished its shakedown run and heads out to explore the Mariana Trench, but when the ship arrives, it not only has to deal with giant sea creatures, but an act of terrorism that threatens the entire world! Plus, a monster larger than the Proteus, a fanged sea creature and an anti-matter generator that threatens to tear apart the world, and an unknown enemy unleashes sonic destruction on the Proteus, and then the world! Only the Proteus and her crew can stop them!